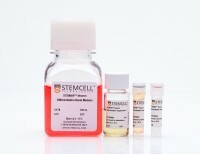 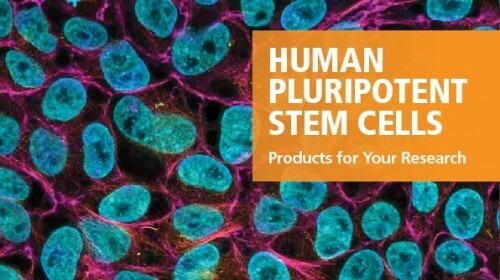 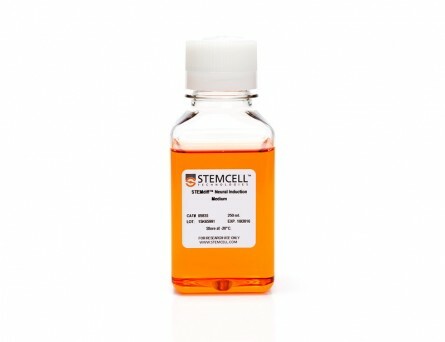 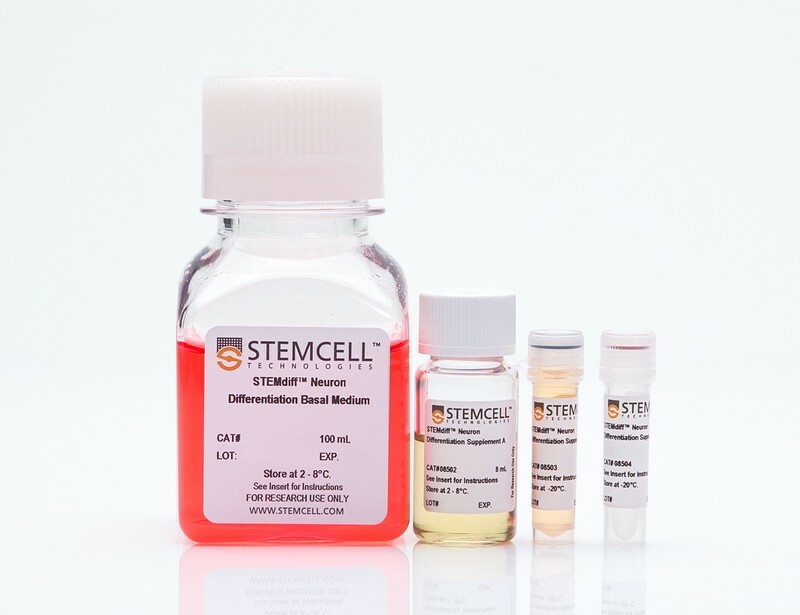 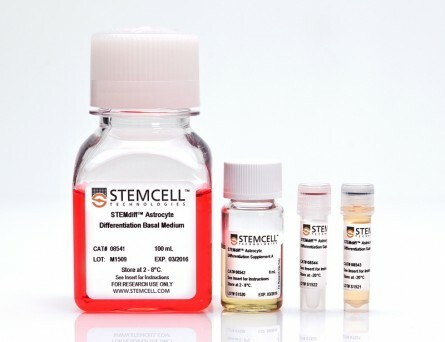 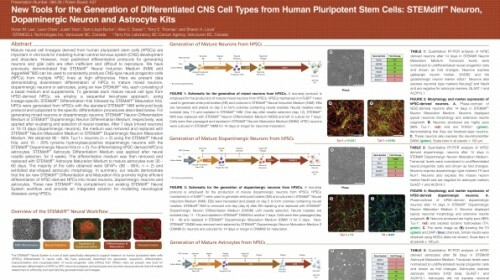 The STEMdiff™ Neuron Differentiation Kit is used to generate neuronal precursors from neural progenitor cells derived from human pluripotent stem cells using the STEMdiff™ Neural Induction Medium (Catalog #05835) embryoid body protocol. 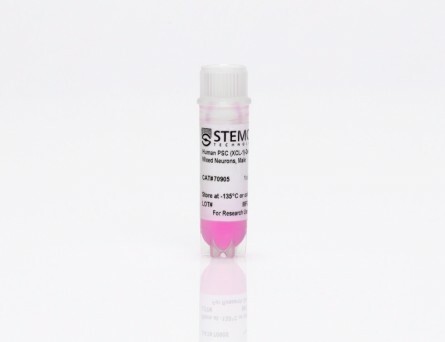 The neuronal precursors generated can be matured using the STEMdiff™ Neuron Maturation Kit (Catalog #08510) to produce a mixed population of excitatory and inhibitory forebrain-type (FOXG1-positive) neurons (≥ 90% class III β-tubulin-positive neurons; < 1% GFAP-positive astrocytes). 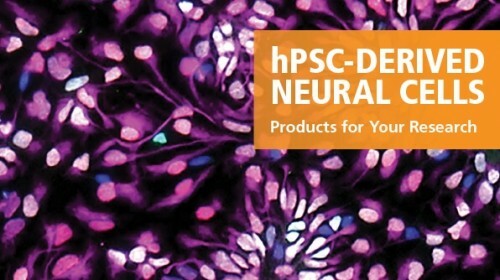 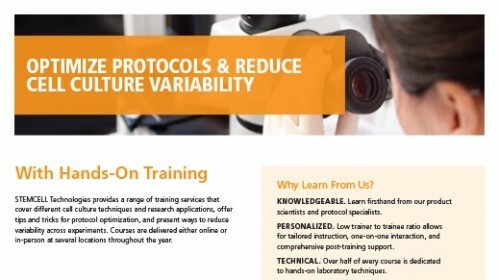 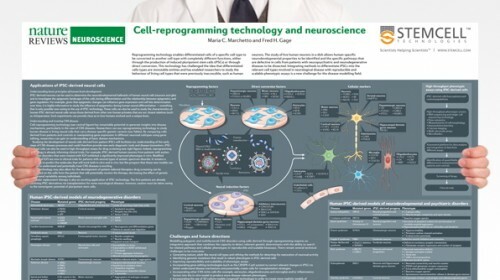 Cells derived using these products are versatile tools for modeling human neurological development and disease, drug screening, toxicity testing and cell therapy validation. 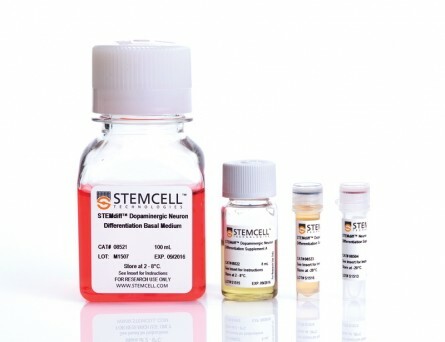 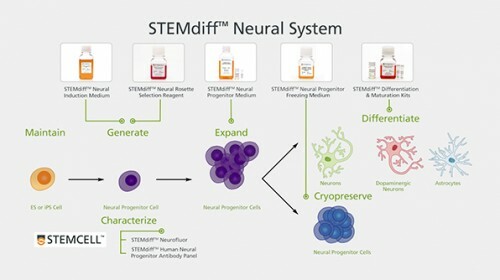 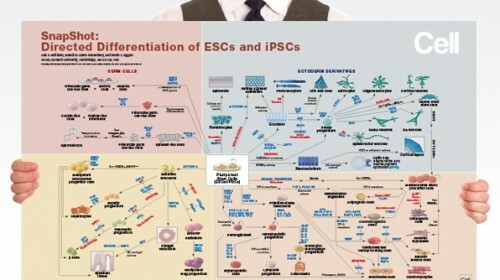 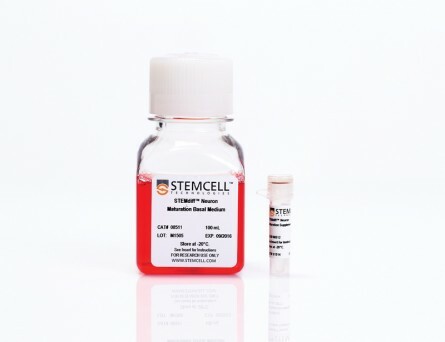 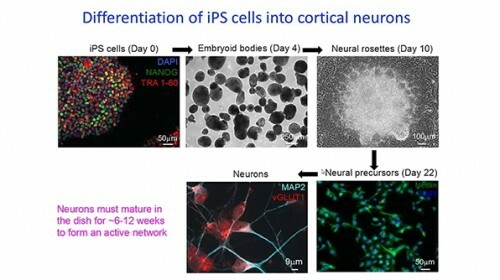 (A-B) Neural Progenitor Cells derived from ES cells (H9 cell line) using the STEMdiff™ Neural Induction Medium embryoid body protocol were differentiated and matured to forebrain neurons by culture in STEMdiff™ Neuron Differentiation Kit for 7 days and STEMdiff™ Neuron Maturation Kit for 21 days. 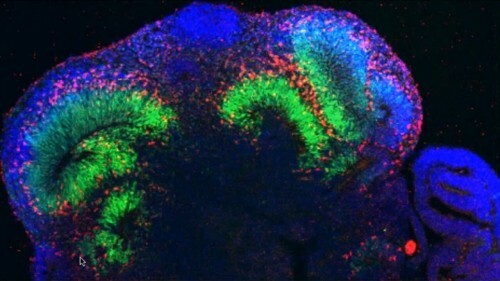 A mixed population of excitatory and inhibitory neurons was formed. 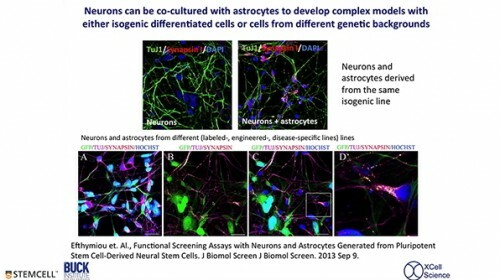 The resulting cultures contain a highly pure population of class III β-tubulin-positive neurons (A-B, red), with a high proportion of GABAergic interneurons (A, GABA, green). 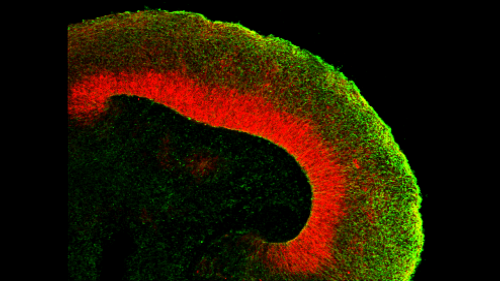 The neurons generated are forebrain-type (B, FOXG1, green).